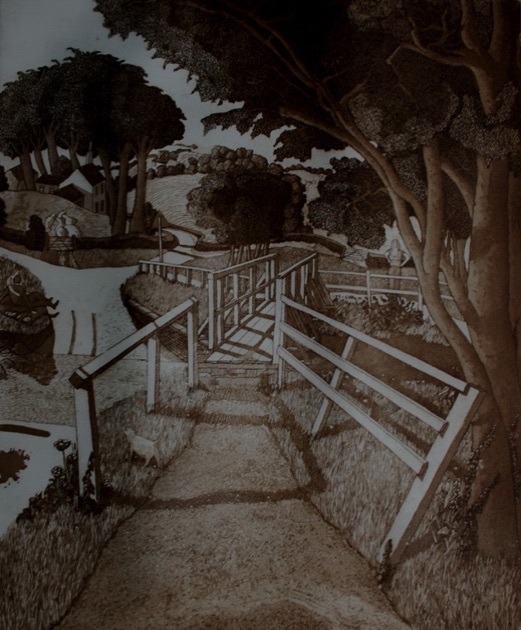 This picture is based on a' footbridge & a ford' the other side of Whitby. leading from the Guisborough road toward Sandsend. There are three people in this one, the lady beyond the footbridge who is looking towards the couple sat on the grass bank on the other sidee of the ford. She's not happy at what she's seeing.